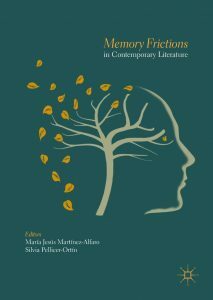 The essays that make up the collection delve into both the treatment of memory in literature and the view of literature as a medium of memory, paying special attention to major controversies attending the representation and (re)construction of individual, cultural and collective memories in literary narratives in English published from 1990 to the present. Focusing on texts written by authors from diverse backgrounds —Great Britain, South-Korea, the USA, Cuba, Australia, Burma, as well as Native-American Indian and African-American writers— this book attempts to explore the multifarious representational strategies used by contemporary writers so as to textualise memory and its friction areas through literary practices. The contributors to the collection analyse a good range of memory frictions —in connection with melancholic mourning, immigration, diaspora, genocide, perpetration and victimhood, dialogic witnessing, memorialisation practices, inherited traumatic memories, murder, sexual abuse, prostitution, etc.— by making use of various disciplines —such as psychoanalysis, ethics, politics, space theories, postcolonial studies, narratology, feminism and gender studies, critical studies in food and culture— resulting in a volume that is genuinely contemporary and committed to cross-cultural ethical engagement. María Jesús Martínez-Alfaro is Senior Lecturer at the Department of English and German Philology in the Faculty of Philosophy and Letters of the University of Zaragoza (Spain). Silvia Pellicer-Ortín is Lecturer at the Department of English and German Philology in the Faculty of Education of the University of Zaragoza (Spain).